Pest monitoring A sweep net can be used to sample for large larvae. Take a minimum of 100 sweeps divided into groups of 10 in different parts of the field and along the margins. Sequential sampling that involves fewer samples, and presence-absence sampling that does not involve counting, also may be used. 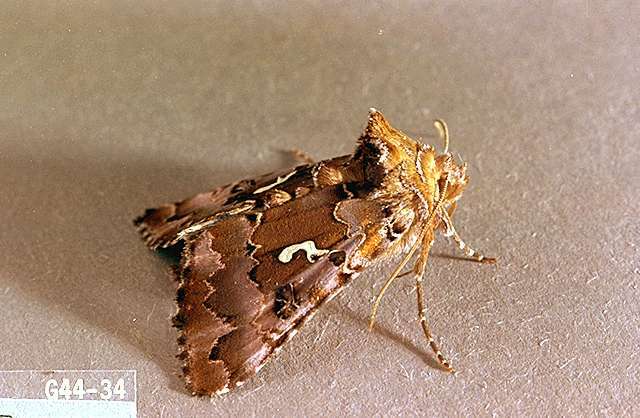 Pheromone traps can be used to monitor for the emergence of adult male moths. 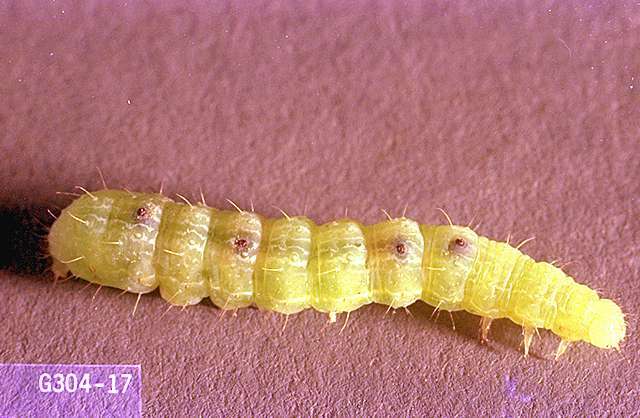 Alfalfa loopers are trapped more often than cabbage loopers, sometimes leading to misreading which looper is the primary pest. 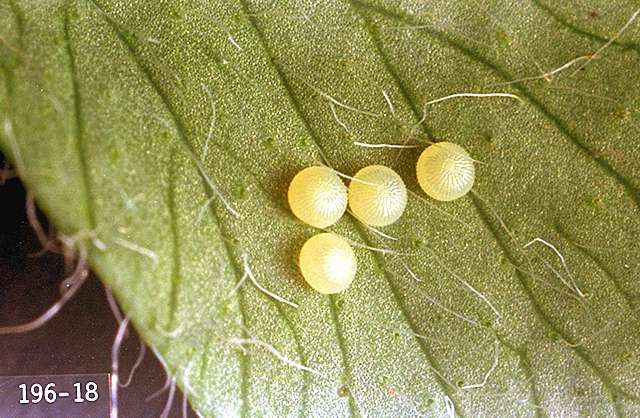 Use row covers after planting to prevent egg-laying by adults. Rotate plantings, and harvest without delay at the end of the season. Remove plant debris from the field at the end of harvest. bifenthrin (Brigade WSB) at 0.033 to 0.1 lb ai/a. PHI 40 days. REI 12 hr. Retreatment interval 7 days. Do not exceed 0.4 lb ai/a per season. borate complex (Prev-Am) at 0.4% solution. Apply to complete coverage. REI 12 hr. OMRI-listed for organic use. chlorantraniliprole (Coragen) at 0.045 to 0.098 lb ai/a as soil, chemigation or foliar treatment. PHI 1 day. REI 4 hr. Retreatment interval 3 days foliar, 10 days drip chemigation. Do not exceed 0.2 lb ai/a per season. indoxacarb (Avaunt) at 0.065 lb ai/a. PHI 3 days. REI 12 hr. Do not exceed 0.26 lb ai/a per crop. Retreatment interval 3 days. methomyl (Lannate SP) at 0.45 to 0.9 lb ai/a. PHI 7 days. REI 48 hr. Do not exceed 3.6 lb ai/a per season. Limit 8 treatments per year. Do not apply to seedlings less than 3 inches wide or when temperatures are below 32°F. methoxyfenozide (Intrepid 2F) at 0.06 to 0.12 lb ai/a early-season, or 0.12 to 0.16 ai/a mid- to late-season. REI 4 hr. PHI 1 day. Do not exceed 1 lb ai/a per season. permethrin (Loveland Permethrin) at 0.05 to 0.2 lb ai/a. PHI 1 day. REI 12 hr. Retreatment interval 3 days. Do not graze or feed treated crop refuse to livestock. Do not exceed 0.6 lb ai/a per season. spinetoram (Radiant SC) at 0.039 to 0.078 lb ai/a. PHI 1 day. REI 4 hr. Retreatment interval 4 days. Do not exceed 0.266 lb ai/a per season. Limit 6 treatments per season. Do not apply to seedling leafy vegetables grown for transplant within a greenhouse, shade house, or field plot. Cabbage looper only. tebufenozide (Confirm 2F) at 0.09 to 0.12 lb ai/a early-year, or 0.12 lb ai/a mid- to late-year. PHI 7 days. REI 4 hr. Do not exceed 0.12 lb ai/a per application or 0.625 lb ai/a per season. 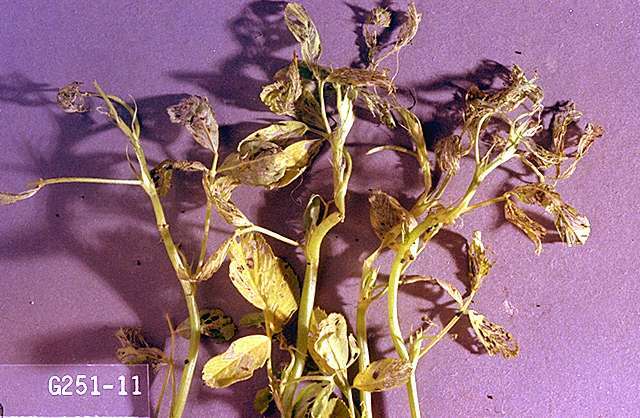 Reapplication on a 10- to 14-day schedule may be necessary under heavy infestations. Use of a spreader-binder is recommended. thiamethoxam/chlorantraniliprole (Durivo) at 0.2 to 0.257 lb ai/a applied to the soil. PHI 30 days. REI 12 hr. Do not exceed 0.172 lb ai of thiamethoxam or 0.2 lb ai of chlorantraniliprole per acre per growing season.